Police are appealing for help after a bike worth £4,000 was stolen from Peterborough Railway Station. At about 3.45pm on September 6, the victim left his bike unattended for a short time to throw away some rubbish, when they returned their bike had been stolen. 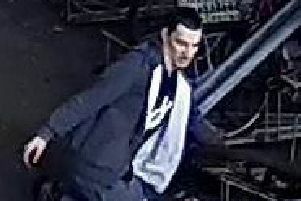 Officers would like to speak to the person pictured in the CCTV image because they believe they may have information which could help officers investigate. If you recognise this person or have any information which could help British Transport Police, please call 0800 40 50 40 or text 61016, quoting 384 of 06/09/2018.